Designing effective control and process systems is a fundamental part of what today’s city planners do. In the past they’ve relied on improving existing infrastructure through incremental change. 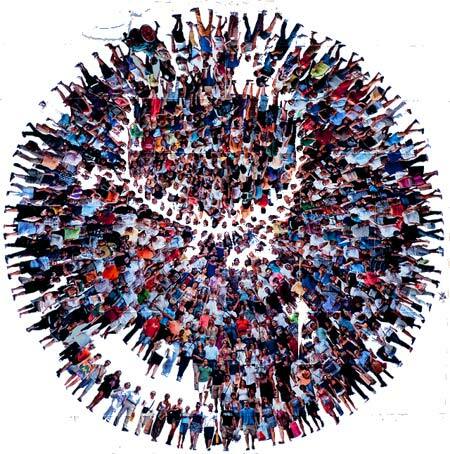 In today’s world, however, massive disruptions in climate, food supply, logistics, and the growth of cities demands a complete rethinking of how we do things. Let’s take a moment for some serious reflection. Ask yourself the question, “Do I have the skills and experience to design today’s intelligent cities?” If you are honest the answer is, “No I don’t.” That confirms our self-assessment. The number of designers we’d trust to take a crack at designing a functional, effective MESH City could be counted on the fingers of one hand–if that. Fortunately, we don’t have to rely on the skills of one person to design the cities of tomorrow. A few years ago the surgeons at the Great Ormond Street Hospital for Children realized they had a problem. The patient handover procedures they used were clumsy. More than that, they put the lives of young children at risk. Doctors Martin Elliot and Allan Goldman looked for solutions. They took a crack at adopting processes from the aviation business. That was not the answer. One day, by chance, after a difficult “day at the office,” the doctors watched the Ferrari Forumula One race team do what they do well—four second pit stops. Both realized the potential. Soon the doctors were working with Ferrari’s team chief Jan Todt, technical guru Ross Brawn, and race technical director Nigel Stepney. 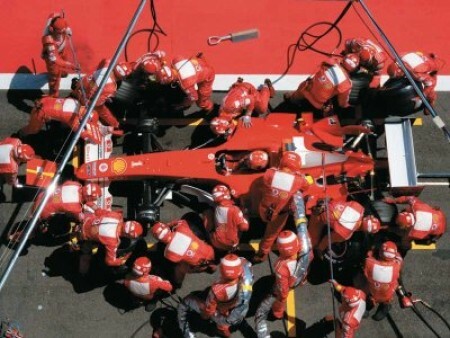 The Ferrari pit team of twenty or so highly-skilled people work together for years to build their routine. Their goal? Shave milliseconds off the time it takes to change tires and refuel. Applying their skills to the hospital’s handover process proved to be life saving. What is the moral of this story? It wasn’t a specific solution used by surgeons in another hospital that solved Elliot and Goldman’s problems. Their creative approach to the problem brought them to another industry where speed and effectiveness result in winning. Successful MESH Cities will be built with similar mashups and hacks. Call the approach heuristics or some other fancy term, but city managers might look to NASA for insights into how to design water supply systems. They’ll be able to do that because in MESH Cities the distance between people and ideas is reduced to the speed of light. What city systems will be reinvented by changing the way we look at problems?